This whole outfit feels like the weekend. 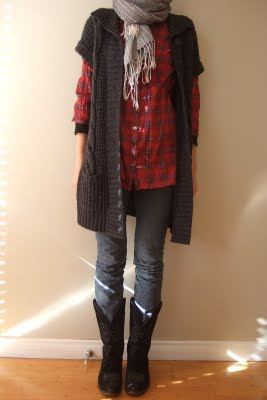 Swap the cowbot boots for a slouchy black boot, though. Every time I see this coat, I weep a little. Oh, Marc Jacobs. Adrien is Down On Vests but I think Emily from Design Star looks darling here. Another great weekend look. 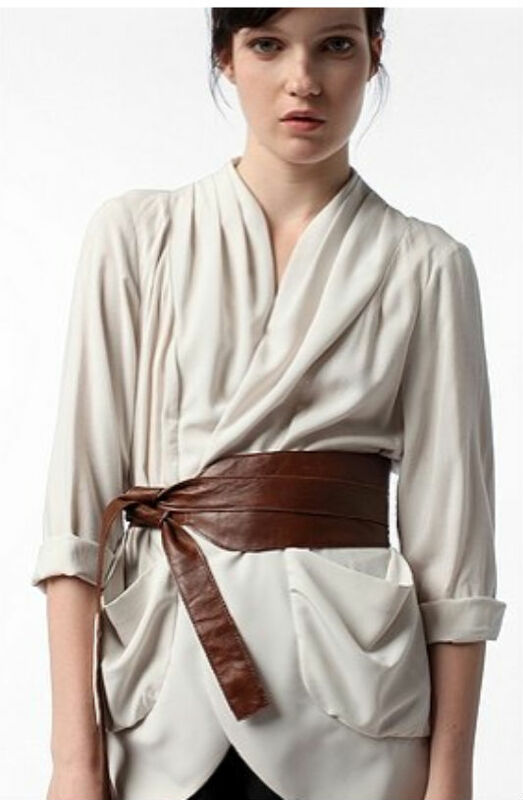 Hello, gorgeous belt and perfect silky top. I will ignore your droopy pockets. Lara Stone does Joan Holloway. LOVE the colors here. There, much better. Sometimes I can't deal with trying to be clever or fashionable and I just want to look at pretty pictures, don't you? I love everything on here, but especially that brown belt. It is perfection. I also really like that long gray cardigan, but I'm afraid it would just end up looking like a housecoat on me. That MJ coat is making me INSANE. Can you tell me where to find the long grey cardigan? I've been looking for something with short sleeves and this is perfect. Unfortunately that image sat in my inspiration folder for a while, and I don't know where I found it! So frustrating, I'm sorry. It's a really perfect sweater and I'm kicking myself.